Clarksville, TN – Austin Peay State University’s baseball team returns to the Ohio Valley Conference race this weekend when it hosts Eastern Kentucky in a three-game series, beginning with a 6:00pm, Friday contest at Raymond C. Hand Park. Friday’s opener will be followed by a 1:00pm contests both Saturday and Sunday. The Governors (22-13, 12-7 OVC) have built a 1½-game cushion for third place after last week’s 2-1 OVC series victory at Belmont. 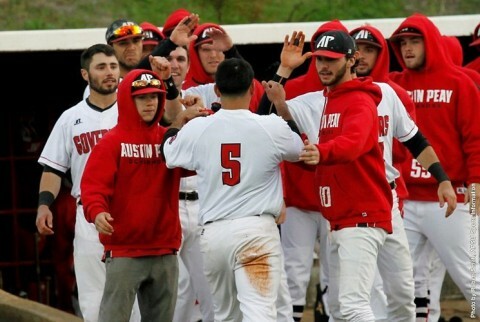 Austin Peay’s fourth consecutive OVC series win also kept it within sight of one of the top two seeds in the upcoming OVC Baseball Championship. The teams currently in those two spots – Southeast Missouri and Jacksonville State – square off in this weekend’s action. Austin Peay’s offense showed signs of returning to form in an 11-8 win, Tuesday, against Lipscomb. Its 11 runs and 13 hits were its most in those categories since April 1. It also halted a steady decline in the team’s batting average, which dropped from .330 to .308 in the month’s first half. On the mound, the Governors pitching staff continues to show steady improvement. The past three OVC weekends have seen the Govs pitchers tested by a trio of teams targeting the postseason and they have performed admirably. 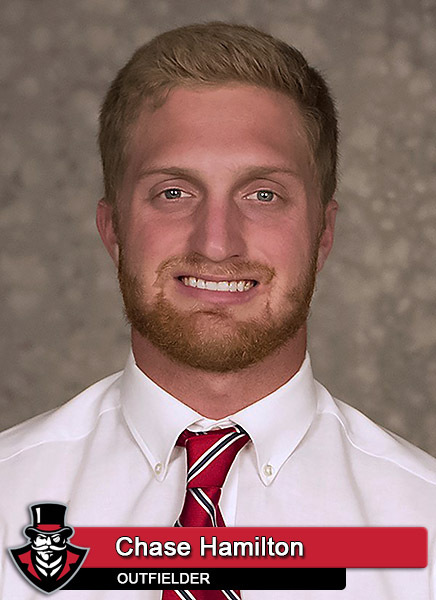 Austin Peay posted a 5.29 team ERA during the nine-game stretch while holding opponents to a .271 batting average – both well below its season averages (6.43 ERA and .292 opponent’s batting average). The Govs are ranked among the nation’s Top 40 in slugging percentage (8th, .496), batting average (19th, .310), on-base percentage (31st, .396), doubles per game (14th, 2.34), home runs per game (11th, 1.17) and scoring (17th, 8.0 runs per game). Entering the weekend, three APSU hitters have reached safely in 10 or more consecutive games. Junior outfielder Chase Hamilton‘s 22-game reached-base safely streak (.338 BA, .456 OBP) is the longest by a Govs hitter this season. Junior second baseman Garrett Copeland has reached safely in 19 consecutive games (.361 BA, .454 OBP). 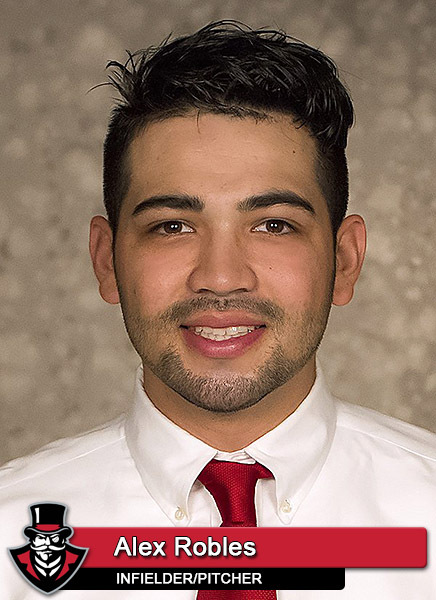 Junior designated hitter Alex Robles is the most recent Govs hitter to piece together a long reached-safely streak, bringing a 10-game streak (.282 BA, .364 OBP) into the weekend. 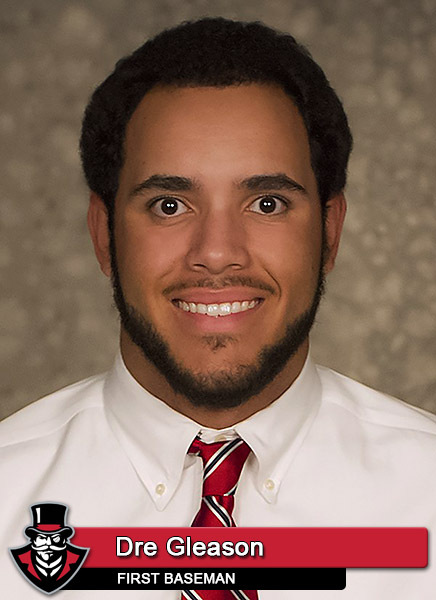 Junior first baseman Dre Gleason snapped a four-game hitless streak (24 plate appearances) with a game-winning two-run home run at Belmont, Sunday, and had a hit in Tuesday’s win. Junior third baseman Logan Gray returned to his starting infield spot at Belmont, Saturday, and brings a six-game hit streak (9-for-23) into the midweek affair. Senior shortstop Clayton Smithson is battling through a rough patch at the plate, failing to record a base hit in his last four games (18 plate appearances). Senior center fielder Patrick Massoni broke out of a recent rough patch (2-for-16 over 4 games) with a 3-for-4 outing against Lipscomb. The Govs have returned to a platoon situation in left field with seniors Josh Wilson and Kyle Blackburn splitting time with junior Ridge Smith. Behind the plate, freshman Alex Sala has started 11 of the last 14 games with Ridge Smith starting the last two outings. For the first time since 1988 a new face is guiding the Governors with first-year head coach Travis Janssen coming to Austin Peay after four seasons at Division II Northeastern State (Oklahoma). APSU owns a 14-4 record, including an 8-1 mark in OVC play, at Raymond C. Hand Park this season. The Governors have won seven of their last 10 road contests after starting 2016 with a 1-6 road record. Austin Peay has won 13 of its last 17 after starting the season with a 9-9 mark. Junior right-hander Alex Robles will look to bounce back from his rough outing at Belmont, last weekend, as he suffered his first loss to Belmont. Robles will make his 27th career OVC start Friday, compiling a 15-6 record and 3.54 ERA in league outings. Sophomore left-hander Michael Costanzo had his best road performance of 2016 at Belmont but did not earn a decision. Costanzo looks to improve on his 5-0 record and 2.01 ERA in five starts at Raymond C. Hand Park. Junior right-hander Caleb Powell also took another step forward in his last weekend start, holding Belmont to three runs in 5.2 innings, but also was left with no decision. He owns an 0-1 record and 4.70 ERA in three OVC starts. 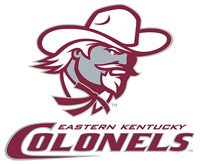 Eastern Kentucky (17-19, 7-8 OVC) enters the weekend one game out of sixth place in the OVC standings. The Colonels present a powerful one-two punch in its order between senior infielder Mandy Alvarez and senior outfielder Kyle Nowlin. Alvarez is among the league’s top 10 hitters with a .377 batting average, but also has nine home runs and 39 RBI. Nowlin, the OVC Preseason Co-Player of the Year, has powered his way to Division I best 15 home runs and a team-best 42 RBI while earning 33 walks. EKU’s pitching staff enters the weekend ranked fifth among OVC teams with a 4.99 ERA in league action, despite no individual pitcher ranked among the league’s Top 10 in ERA.